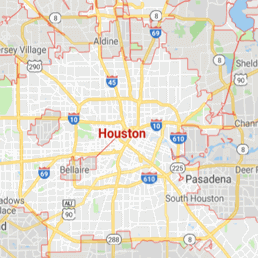 The sewage backup Houston team at 911 Restoration Houston, led by Eli Elkayan, is here with the best service in town for those who are experiencing a home accident. He believes that when bad things happen to good people, then they deserve a group of specialists at their side fighting hard for them. For a reliable solution you can count on, pick up the phone and call our sewage backup Houston team. 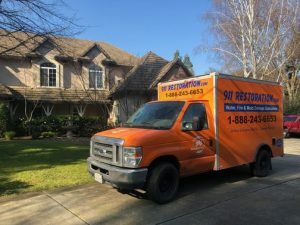 Sewage backup and cleanup operations require the best in the industry to provide your home with the foundation that it needs to get past this situation, and that is why people rely on the expertise and skill of Eli and his sewage backup cleanup Houston team with 911 Restoration Houston. If your home is already awash in sewage from a backup, then don’t hesitate to contact Eli and his sewage backup cleanup Houston crew today! Preventative maintenance is always going to be less of headache than restoration. If we miss out on a client that is fine, as long as your peace of mind stays in one piece. The sewage backup team at 911 Restoration has drafted a guide about one of the top reasons for sewage damage, which hopefully will aid you in your quest to keeping tranquil. The biggest reason we see is root invasion. Root-systems are the non-leaf and none node bearing part of the plant. They dig into the earth in search of water, nutrients, and anchoring the plant. The things that can cause them to harrow into soil is arid temperatures and strong winds. Some trees and shrubs have longer and deeper roots that will slowly grow until they pentrate a pipe. These things are not easily controlled by man, so our recommendation varies into a two-piece. The first being some plants have shallow and wide branching systems. Therefore, planting those will never result in root invasion that will cause a blockage in your pipes. Another manner, which might be costlier than planting certain species, is by having no plants near pipes. Figuring out where your pipe system is may be time consuming. For this one you can either contact the city, or try digging yourself. If you are experiencing a home accident, then call the sewage backup Houston team at 911 Restoration today! 911 Restoration Houston always puts the customer first, thus the first step our sewage backup and cleanup technicians take is ensuring the safety of you and your loved ones. Sewage backup ranges from category 1-3 water. Category 3 flows into a house via a toilet overflow. Do not attempt to mitigate this problem on your own. 911 Restoration has decades of expertise and the latest drying technology, so our company can safely repair the problem. Your first step for a fresh start begins when you call us. Your problem will be remediated quickly, as in cases like this we arrive within 45-minutes. The sanitation Houston team arrives with every tool and gadget required of sewage cleanup, thus every moment is used to its max potential. This guarantees a speedy and affordable recovery. We begin removing waste with our industrial grade pumps and we wipe down all surfaces until they are spotless. When it comes to sheetrock replacement and restoration, it all depends on how much water damage the material has taken. As we value positive professionalism you can count on us to be honest as to what the true extent of the restoration effort is. 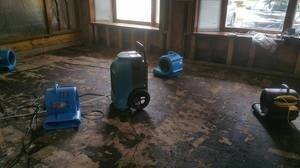 In our free damage estimate you will be filled in on the true scope of the work. Peace of mind is a right to every homeowner. Do not let a disaster take that away from you. Call our sewage backup cleanup Houston team with 911 Restoration Houston for the best service in the industry today!